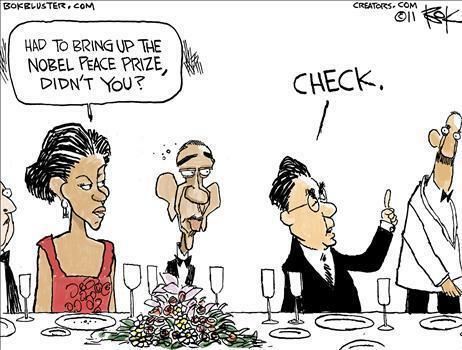 Obama's Nobel Peace Prize. . Wallpaper and background images in the U.S. Republican Party club tagged: politics funny barack obama michelle obama comics parody 2011 nobel peace prize.